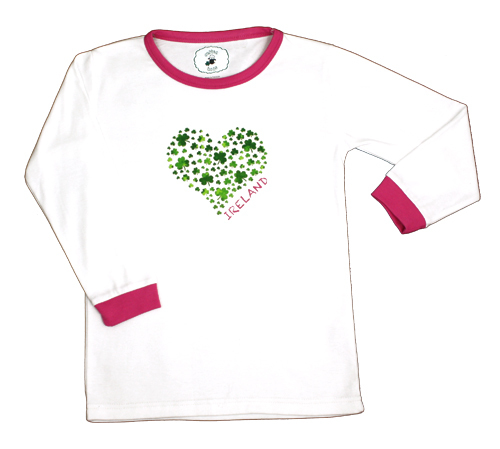 The Irish themed Celtic Kids Heart Ireland Pajamas are a fun choice to sleep in. 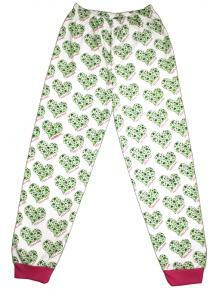 The two piece set features a pretty Heart Ireland print on top as well as a mulit-heart Ireland print pant. 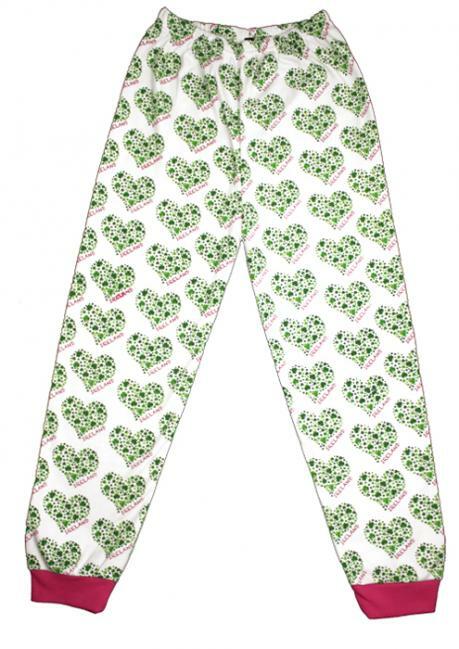 Crafted from a super soft cotton/poly fabric, they are sure to make a soft and comfortable addition to your childs sleepwear collection.